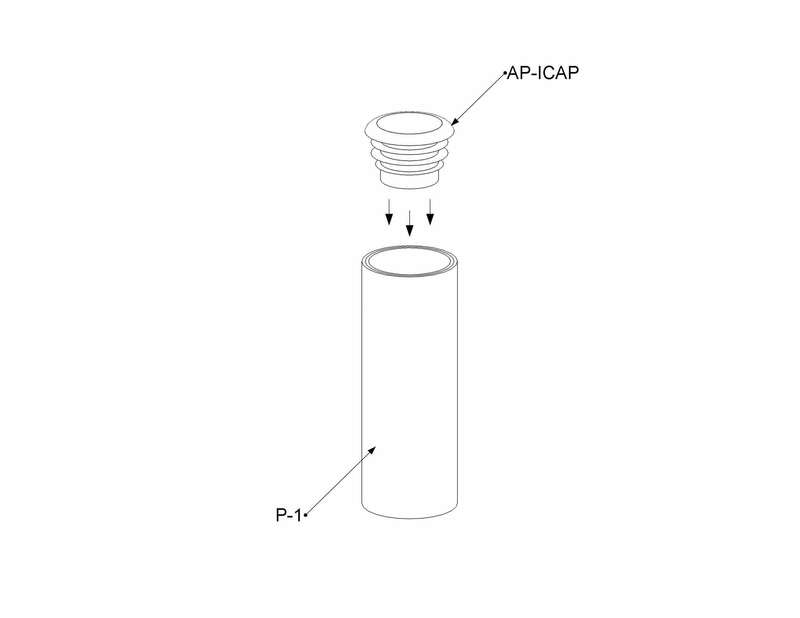 The AP-ICAP is a plastic cap made to fit perfectly inside the 28mm pipes we use at Flexpipe. The cap is engineered to create a press-fit effect, sealing the pipe ends as much as possible. The top of the cap does not add height, and they are safe to slide across the ground. This item has many mechanical applications, but is also imperative when you want to improve the security, longevity and the aesthetics of your structures. The AP-ICAP is not just a visual finish. The cap is the perfect accessory if you want to reduce water infiltration and preserve the interior of the pipe from corrosion on long term outside applications. Sealing the ends of your structures will keep your employees from putting rubbish into the pipes. The cap is also used for its protective attributes. The AP-ICAP protects your employees from cutting themselves with the pipes. This item is ideal for fragile flooring that could be damaged by a metal foot or the pipe itself. You should not neglect to seal the pipes of the structure, and the AP-ICAP is a solution to that. Select the AP-ICAP2 if you are using 28mm stainless steel pipes. This version will not work with the standard pipes, but will fit the inside diameter of the EP-96-ST perfectly. 3-Push completly the AP-ICAP inside the P1 pipe with the help of a mallet.